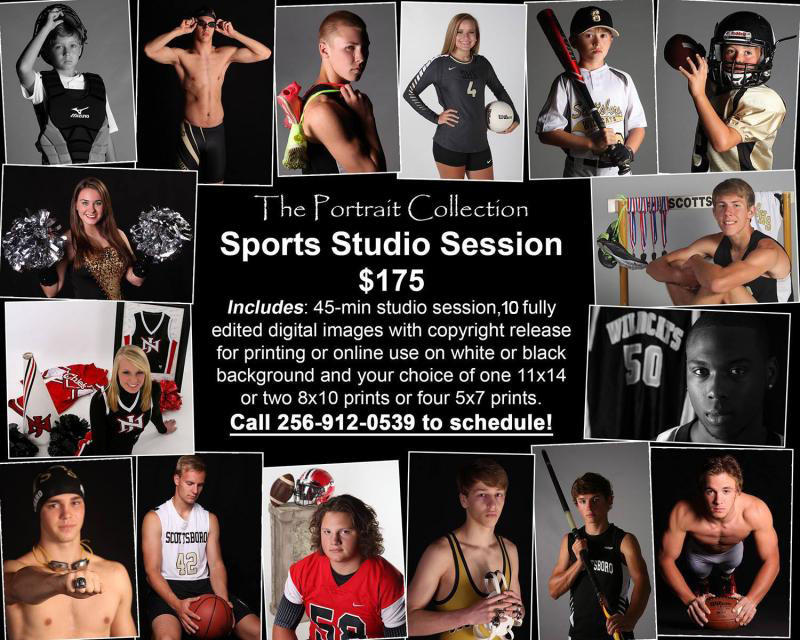 The Portrait Collection is a full service photography studio located in downtown Scottsboro, Alabama. Brent Miller began taking photos as a child and later grew his love for photography into his own business. Brent's interests started with outdoor and scenic photography, however, the business has developed into a portrait studio, capturing your unique personality and cherished memories. Photography services include senior portraits, families, children, newborns, engagements, weddings, events, commercial photography, action sports photography, team and individual portraits, passport photos, photo scanning and archiving, restoration and fine art photography. Our studio is open by appointment only. We have a wide availability since we know your schedule is just as busy. We will be more than willing to schedule a time to meet with you to discuss your photography needs, or browse our site for pricing and services. To schedule an appointment, please call 256-912-0539.